Popular with walkers and ramblers, Ilmington is the perfect starting point. In the centre of the village, St Mary the Virgin bell tower and church contains Thomson of Kilburn pews (remember to look for the carved mice), and an organ, if you play, worthy of Notre Dame in Paris. Also a Village Community shop and a tiny dairy in the same street as the church straight out of the Archers before the Archers started mimicking East Enders. Horse riding, fishing, cycling, quad biking and shooting are also available in the local area – just ask us for details. The Howard Arms is only 8 miles from Shakespeare’s birthplace, Stratford-upon-Avon, and was built roughly the same time as King Lear was written. 2016 is the 400th anniversary of William Shakespeare’s death. Visit the house where he was born and grew up which is now a fascinating museum. 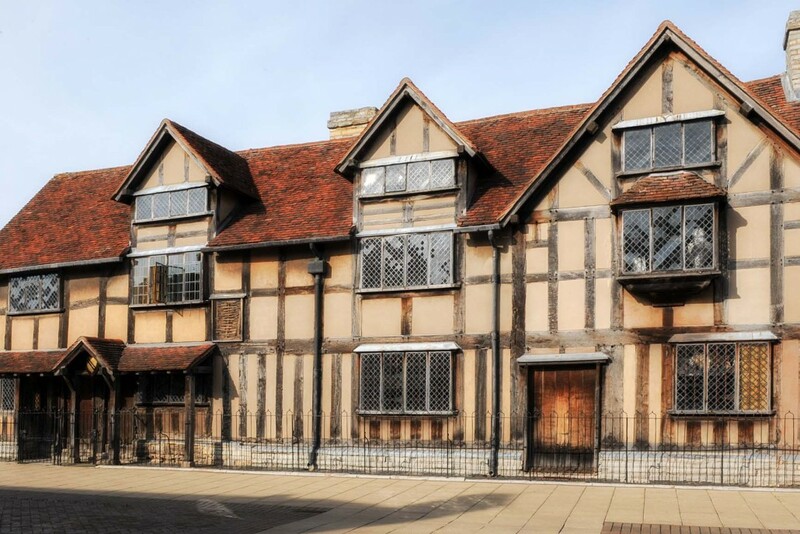 Also in Stratford is the Church of the Holy Trinity where Shakespeare is buried, his wife, Ann Hathaway’s Cottage and Garden, and his mother, Mary Arden’s childhood home. Stratford is now best known for being the home of the Royal Shakespeare Company. The recently transformed main Theatre stands on the banks of the River Avon. The Swan Theatre adjoins it and further down the street is The Other Place. The RSC performs not only Shakespeare’s plays, but works by his contemporaries as well as plays and musicals by today’s writers. * Hidcote and Kiftsgate Manor Gardens (home of the Kiftsgate Rose) – opposite each other up the hill from the Howard Arms. * Batsford Arboretum – the UK’s largest private collection of trees and shrubs. * Cotswold Falconry – witness free-flying birds of prey demonstrations. * Sezincote – a unique Indian nabob’s house and garden. * Bourton House – garden gem at Bourton on the Hill. * Cotswolds Farm Park – Adam Henson’s place. A farm not a garden, but we don’t know where else to put it. * The National Herb Centre has over 500 varieties of herb plants. * Bleinheim Palace – Vanbrugh pile in stupendous 2,100-acre park, given by grateful nation to the Dukes of Marlborough: birthplace of Winston Churchill. Equally famous for providing The Howard Arms with its bottled water. 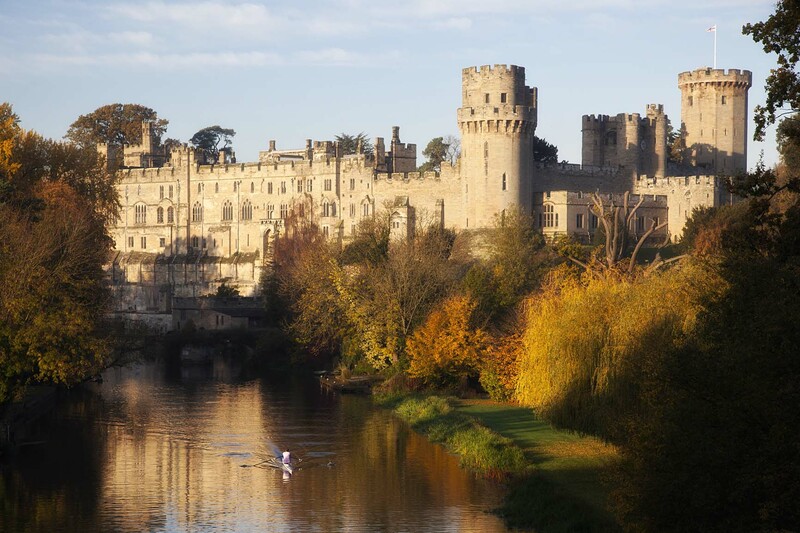 * Warwick Castle – Fairy Tale castle, lots for adults and children. * Compton Verney – Unusual mix of art shows in 18th-century mansion set within 120 acres of Capability Brown parkland. * Chastleton – Is this the greatest restoration job of a fascinating Elizabethan house the National Trust has ever done? * Snowshill Manor – Village on hilltop almost outshines the house. * Stanway – Gripping if you can get in, luscious setting. One of the longest single-plank oak tables in the world. * Broadway Tower – Not exactly a house, a Folly by Capability Brown 1024 feet up in the air, with Cotswold views accordingly. * Charlecote Park is a superb Tudor House with a landscape deer park gardens by the River Avon. * Coughton Court is an imposing Tudor house set in beautiful gardens with a fascinating collection of Catholic treasures. * Upton House is presented in its 1930s heyday with an outstanding art and porcelain collection. * Lapstone — Shop, café, Spa surrounded by fields. * Whichford Pottery – Where so many earthenware pots, some giant, are made. Family business. * Chipping Campden is the absolute best, stone’s throw from the Howard Arms. * Plus: Broadway; Bourton on the Water (home also of Birdland and the Model Village); Stow on the Wold; Moreton in Marsh; Burford (but take care not to trip over the tourists).